Recently seen on TruTV’s “Friends Of The People”. Go to Netflix – RIGHT NOW!!! – to see Walter in Lilyhammer (Season 3, Episode 8) as the American comic performing at Steven Van Zandt’s Norwegian club. Also now on Netflix – Blue Bloods (Season 3, Episode 8) see Walter in spandex body suit in first 5 minutes as Arnie the Homeless Avenger. Royal Pains (Season 6 Episode 3) as the Choking Victim. 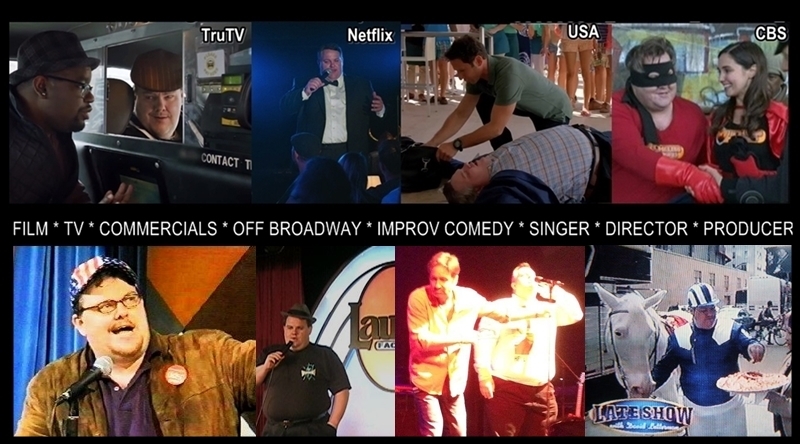 Past credits include sketch bits on Letterman (9 episodes), Stakervision (MTV2), Naked Brother’s Band (NICK), Hair Trauma (WE) and numerous commercials including Dr. Oz’s Fat Pants. 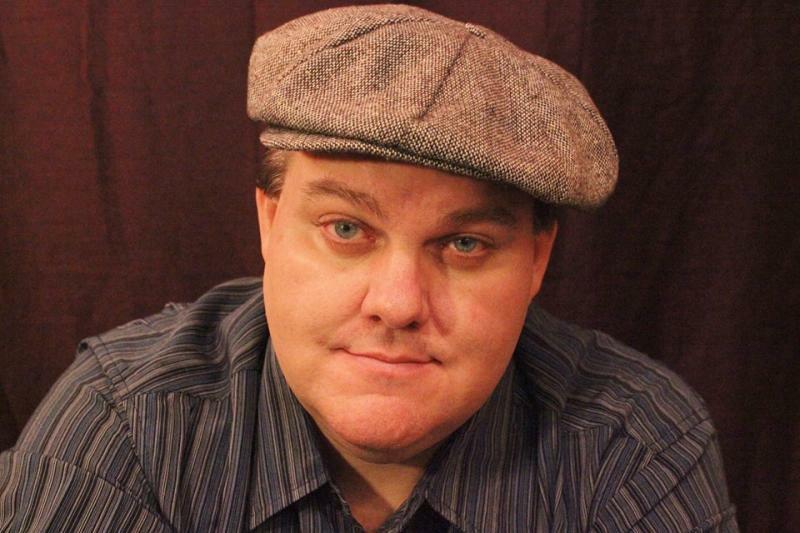 Theater Credits include Off Broadway, Touring and Regional Theater plus over 4000 professional Improv Comedy Shows with EIGHT IS NEVER ENOUGH (AKA LMAO Off Broadway. Improv 4 Kids, Improv 4 Teens, Absent Minded Comedy). 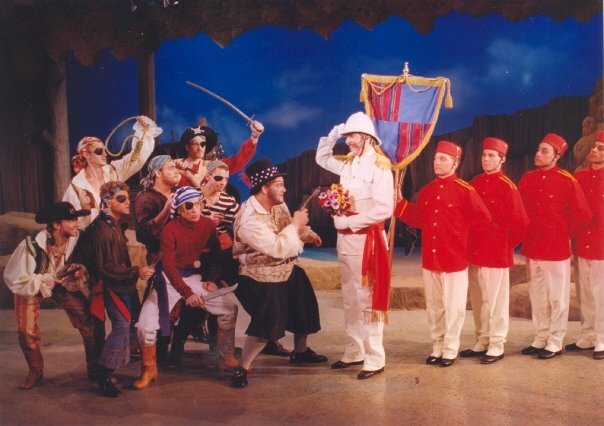 1995: First paid gig, as Sam in Pirates of Penzance. 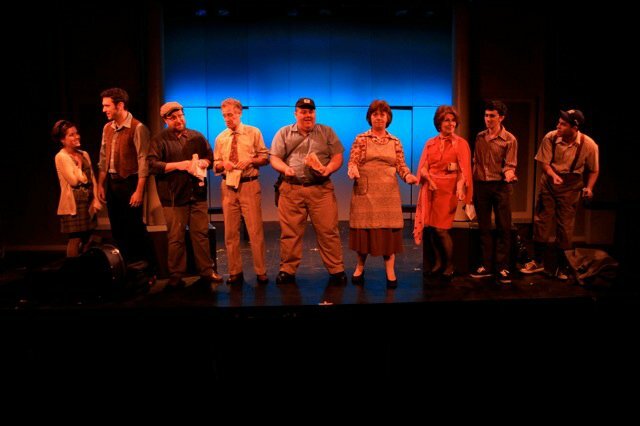 20 week run at the West End Dinner Theatre, Alexandria VA. That's Walter center stage taking on the Major General.